Japanese light novelist. 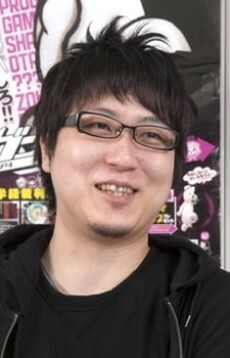 He won the Gold Prize in the 9th Dengeki Novel Prize for Baccano!, which was made into a TV anime in 2007. The fact that Gintama is one of Narita's favorite manga series should already say a lot about his personality. Indeed, this man speaks a language that's extremely similar to that of Gintoki's, which makes him a rather unique and adorable piece of humanity. Narita writes extremely fast, one volume a month if he wishes - with tons of spelling errors and missing words as a tradeoff. The editors like to leave them sometimes just for fun, though. His work titles often have an exclamation mark at the end (i.e. Baccano!, Vamp!, Durarara! !, etc.). It's also interesting to note that Narita studied satellite image analysis (computer science dept.) in university - far enough from a writing profession.